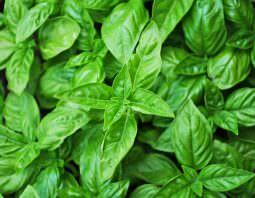 So you want to try growing your own pot of basil. Even if you have a black thumb, you can be a gardening goddess. Here are best tips for growing basil on your window ledge. The weather is beautiful. Gardens are taking root. And fresh herbs and produce are in abundance. Except if you’re not a gardener, a large garden might be overwhelming. But even you can grow a pot of basil. It’s easy. Let’s walk through it. If you’re going to grow basil on your window sill, you need two things. A pot that offers drainage. And it has to be cute. Let’s start with the drainage. Basil likes water, but too much H2O stresses it out. The pot needs some kind of drainage. Luckily, most pots have this. Make sure your pot has a hole in the bottom. This will drain excess water. If you don’t have a hole, but love a pot, drill small holes in the bottom. That’s best. If you worry you’ll drill your finger instead of the pot, do this. Water your plant in the sink and wait a few minutes. Then gently tilt the pot to it’s side for a minute. This will eliminate extra water. Or put pebbles or packing peanuts in the bottom of the pot, under the soil. Water can sit down there instead of saturating the soil. So let’s talk about making it cute. You might like this black and white striped number. I like this white pot that looks like wavy ribbons. Don’t just dig up some dirt from your yard. You need a coarse growing mixture for best luck. This will help your basil flourish. Nurseries have lots of basil plants ready for planting. Honestly, I always buy plants and never seeds. It’s just easier. I always rely on the great knowledge of nursery workers when I’m buying. Workers are usually garden enthusiasts, and they know their stuff. Nursery workers are your friends and they love to help. If you’re going old school and starting from seed, fill the pot with soil. Place the seeds in the pot and cover with 1/4 inch of soil. Keep the soil moist (not soggy). It should sprout within a week. Your new baby should have D-shaped leaves, with the flat sides of the leaves facing each other. If you’re starting from a plant, just transfer it to your pot. Make sure your soil is moist and loose (don’t pack it down too much) and that you have enough soil to keep the plant upright. Basil likes around six hours of sunlight. The plants will do best when set on a south-facing window sill. First, watering. A good rule, you should water it every other day. But check the soil first. This is completely unscientific, but it works. Stick your finger in the soil. If it’s wet, hold off. Dry? Add some water. Next, pruning. Remove any leaves that have seen better days. Plus you want to remove any flowers. 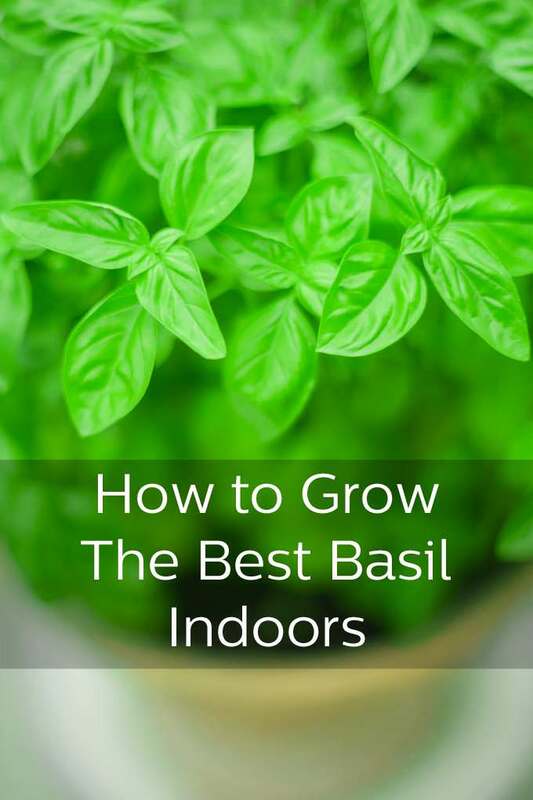 This will keep your plant healthy and under control, but also, once a basil plant starts flowering the leaves no longer taste as good. Flowers are bad. If it gets to the point where you can’t prune off the flowers quickly enough, your plant has reach the end stage and you’d better make a big batch of basil to use up the last of your leaves. Here’s our best ever pesto recipe. Finally, you might want to invest in a good indoor fertilizer. Do this once a month and your basil plant will continue to give you lots of love. There you go. 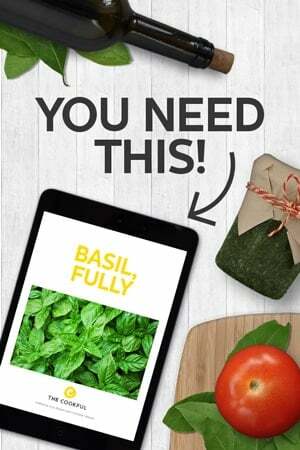 Now you can grow your own basil. Just remember to take a picture of your pretty plant for all your Instagram followers.